It's Top of the Citi's 9th anniversary on November 16! 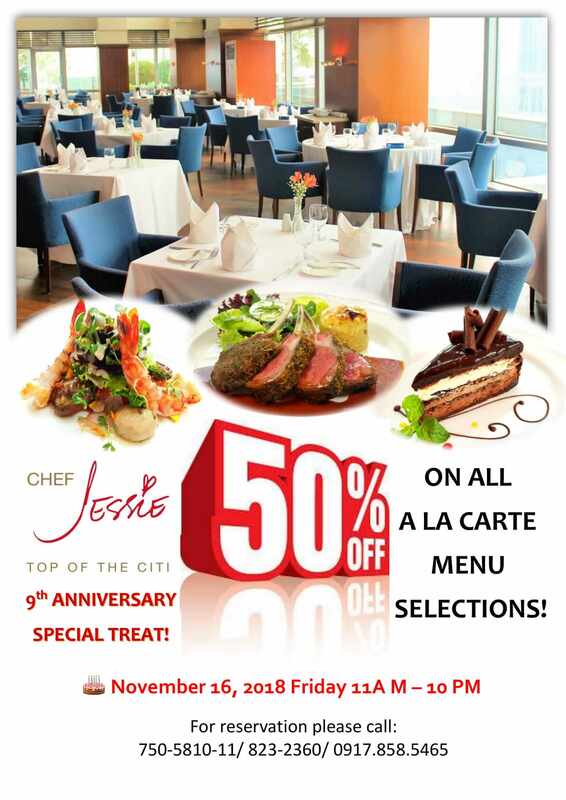 A fantastic treat is in store, 50% off on A la carte menu selections! 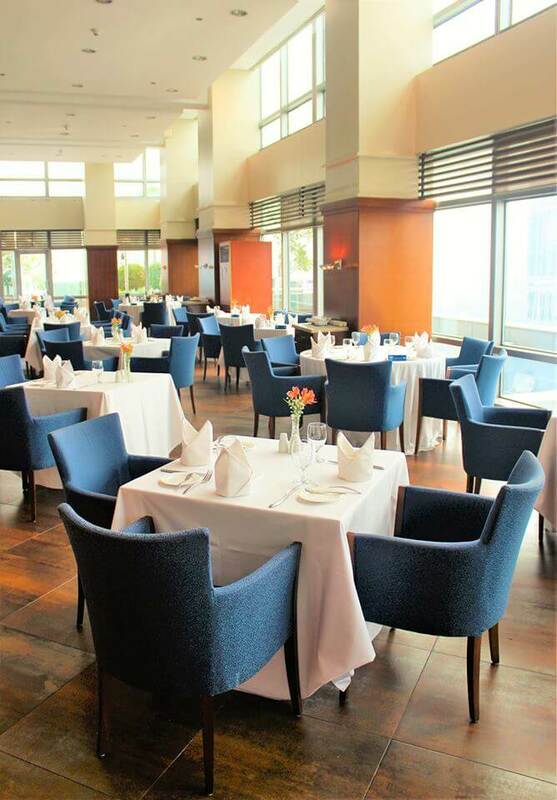 Come and celebrate with us, and avail our special anniversary treat from 11 AM- 10 PM only. For queries/reservation please call 750-5810-11, 823-2360 or 0917 858 5465 (SMS/Call).